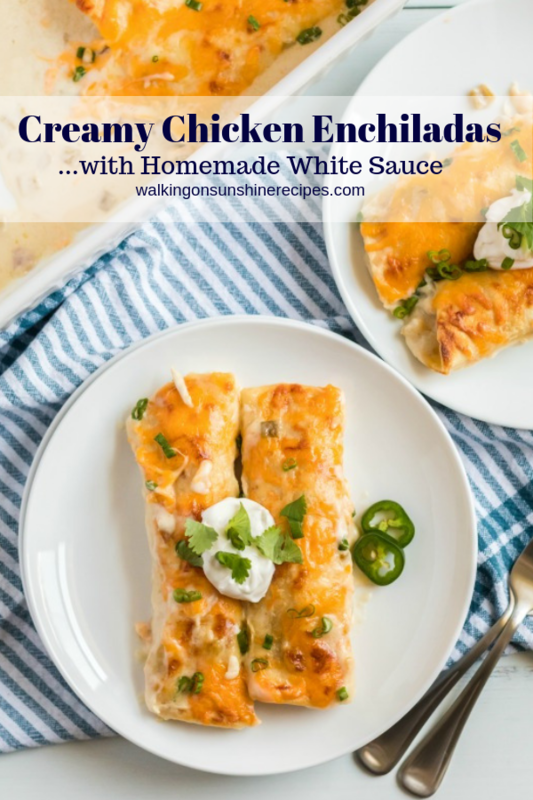 Creamy Chicken Enchiladas is a recipe every home cook needs in her, or his, recipe box. These are seriously delicious and so easy to make. You can even freeze them for when life is busy and you think you don’t have time to cook. 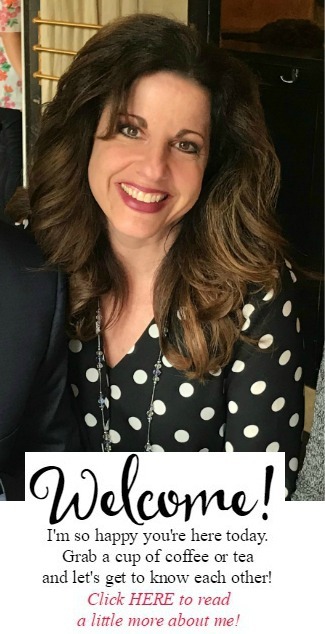 Lately I have been spending so much time in the past…on the blog that is. 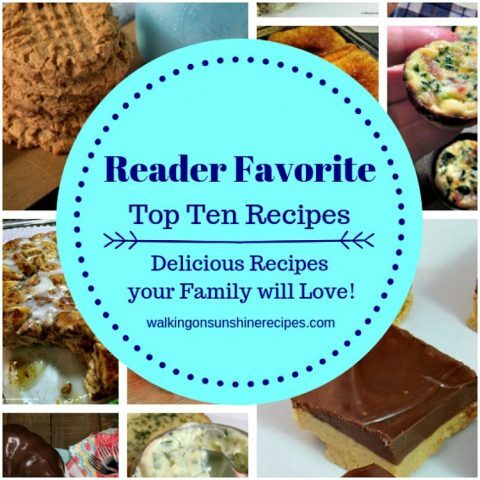 I’ve been blogging for almost 11 years and there are so many recipes on my site that just don’t get viewed anymore. I really think it’s because of a few reasons. 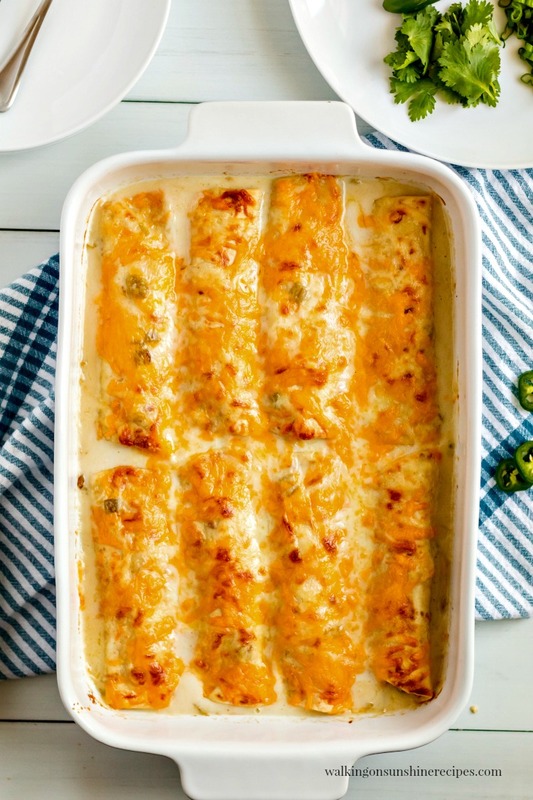 A lot of the older recipes don’t have a printable recipe card and a lot of the photos are horrible like this recipe for creamy chicken enchiladas. This is an amazing delicious recipe that I know your family is going to love. 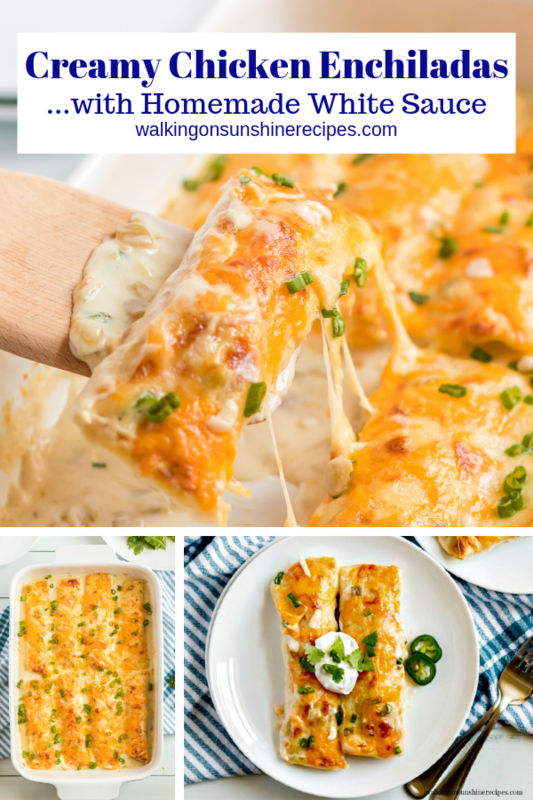 My family loves the taste of these enchiladas and I love how incredibly easy they are to make. 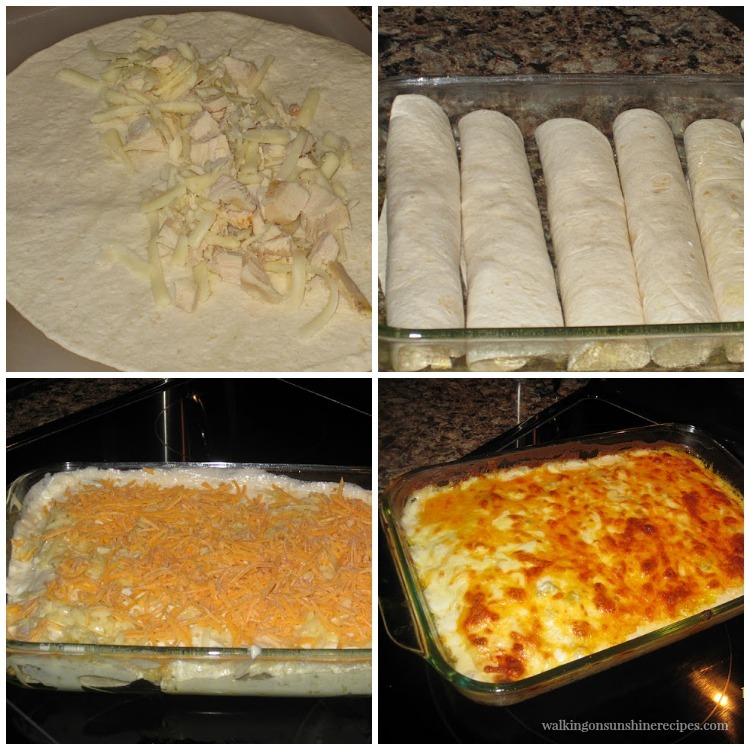 This recipe for Creamy Chicken Enchiladas first appeared on my site back in 2011. Back when I had no clue what I was doing with photographing my recipes. That’s very obvious if you look at the photo collage below of the original photos. This recipe needed to be updated with better photos and a printable recipe card for some time and I’m happy that time has finally arrived! This is a really easy recipe to make for your family for dinner. 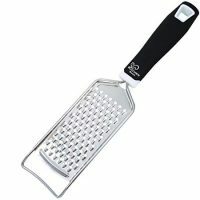 You all know how much I enjoy easy recipes! Don’t let the can of green chilies and jalapenos make you think this is a spicy recipe…it’s not! 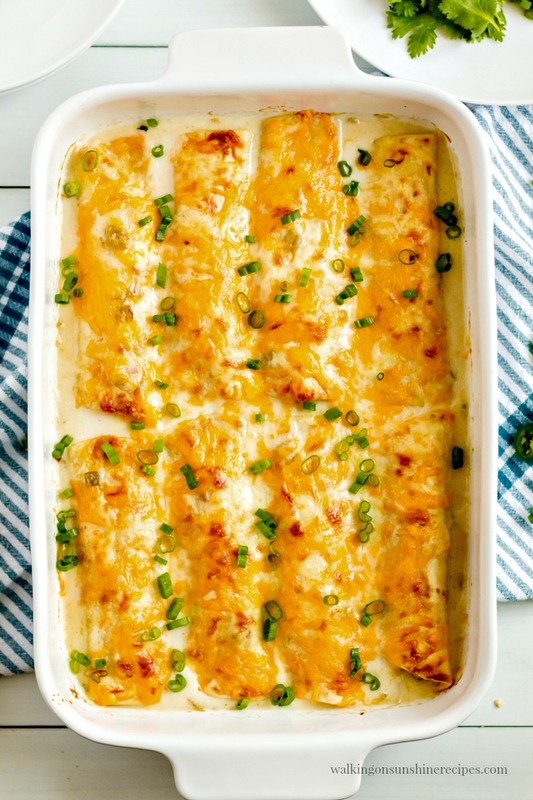 My family loves these creamy chicken enchiladas with both cans of green chilies and jalapenos, but everyone’s tastes are different. So please feel free to experiment with the sauce and adjust for how you know your family handles spice. This recipe calls for 2 cups of cooked, shredded chicken. You can use a rotiserrie chicken or use leftover chicken. I like to cook chicken in the crock pot for recipes that call for shredded chicken like this one and for my chicken pot pie recipe. Stir in the flour and cook for about one minute or until the flour and butter are combined. 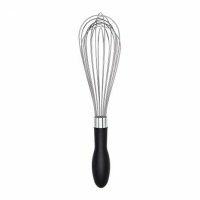 Add the chicken broth and using a wire whisk, stir until smooth. Continue to heat over medium heat until thick; about 10 minutes. Remove from heat and add the can of diced green chilies and diced jalapenos. Set the sauce aside while you assemble the enchiladas. 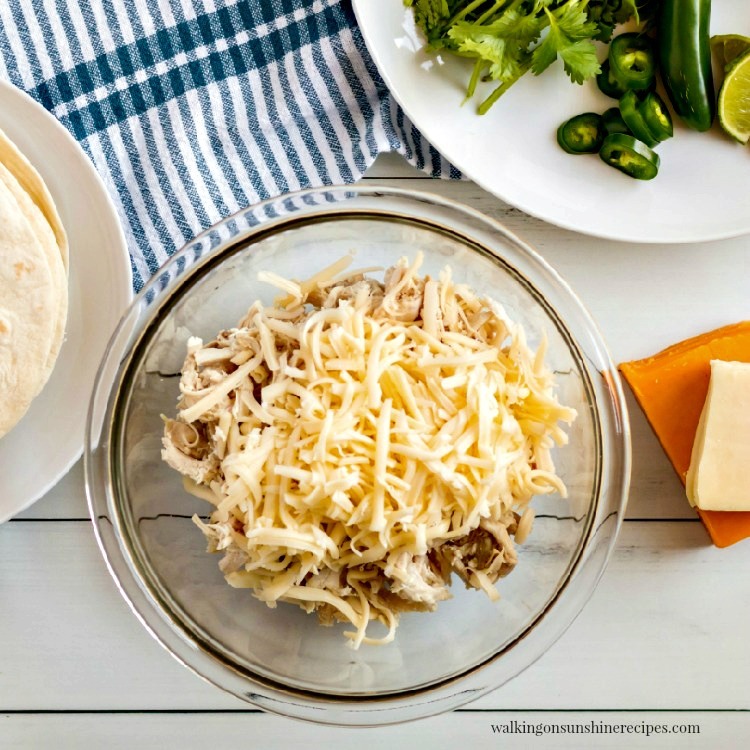 In a bowl, combine the shredded chicken and the 1 cup of Monterrey Jack cheese. Lay the flour tortillas out on a cutting board or flat surface. Spoon some of the chicken and cheese mixture down the center of each flour tortilla. Roll the tortillas up and place seam down in a 9 X 13 baking dish that has been sprayed with non-stick cooking spray. Pour the sauce over the top of the flour tortillas. Top with the 1 cup cheddar cheese. Bake in the preheated oven for about 20 to 25 minutes. Turn the broiler on and bake for an additional 2 to 3 minutes or until the cheese has melted and bubbly. Sprinkle with chopped green onions if desired. Make the sauce by melting the butter in a skillet and then stir in the flour. Allow the flour to cook for a minute or two before pouring in the broth. Then add the cans of green chilies and diced jalapenos followed by the sour cream. 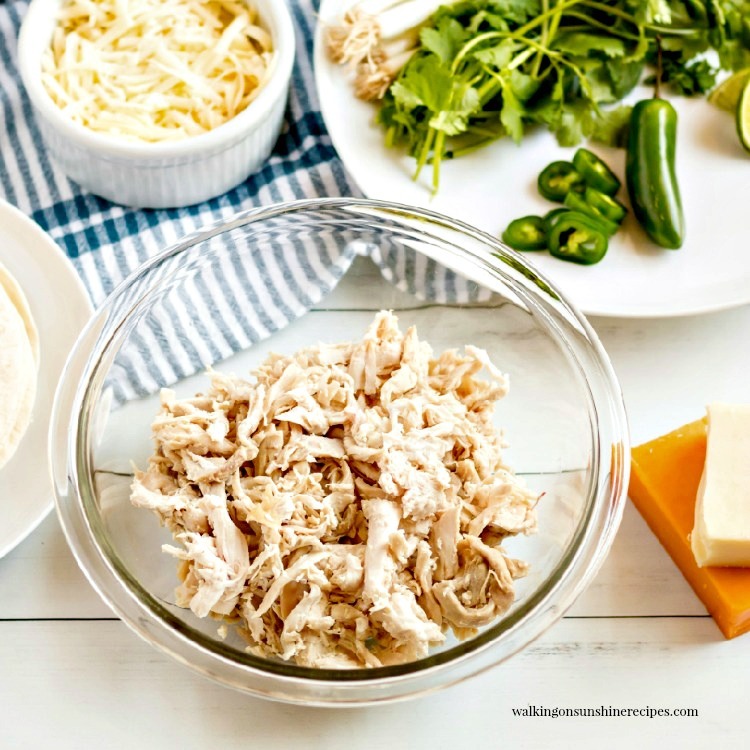 Combine the shredded chicken with the cheese in a bowl. 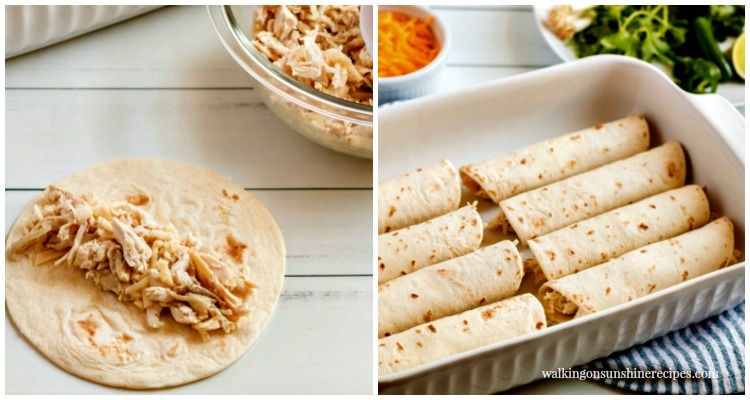 Lay the flour tortillas on a cutting board and then spread a portion of the chicken and cheese mixture down the center. 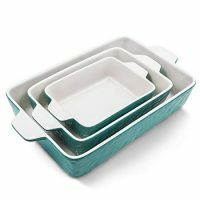 Roll up at one end and then place seam down in the bottom of 9X13 baking pan that has been sprayed with non-stick cooking spray. Pour the creamy white sauce on top. Look how delicious that is! Add the remaining shredded cheddar cheese. Bake for 20 to 25 minutes and then place under the broiler for a few minutes to make sure the cheese is golden brown and completely melted. Garnish with chopped green onions, chopped jalapenos or chopped cilantro if desired. 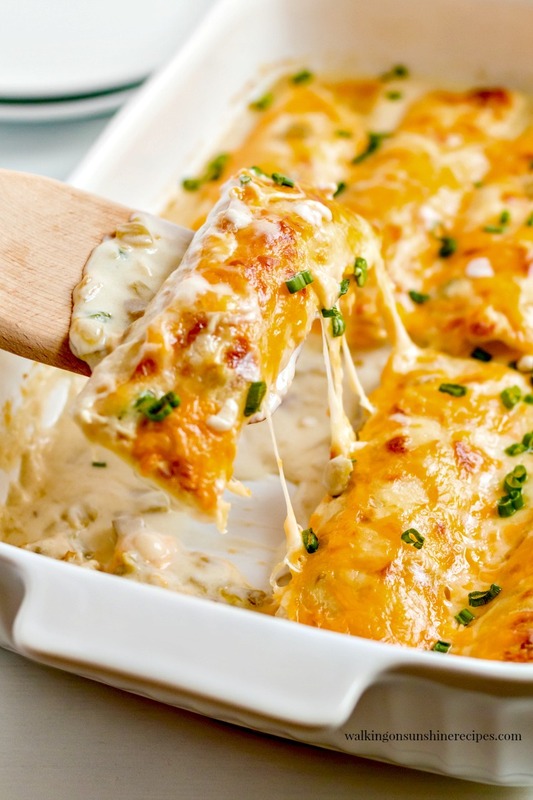 Serve the creamy chicken enchiladas with a spoonful of sour cream and maybe some homemade salsa if desired. You can serve rice pilaf, roasted potatoes or a tossed salad also as side dishes. Roasted zucchini is really nice as well and what I originally served when I first made this recipe 8 years ago. And just in case we forget, here’s what the “hero” photo looked like eight years ago. Things have definitely improved over the years! You can freeze the enchiladas but not the sauce. 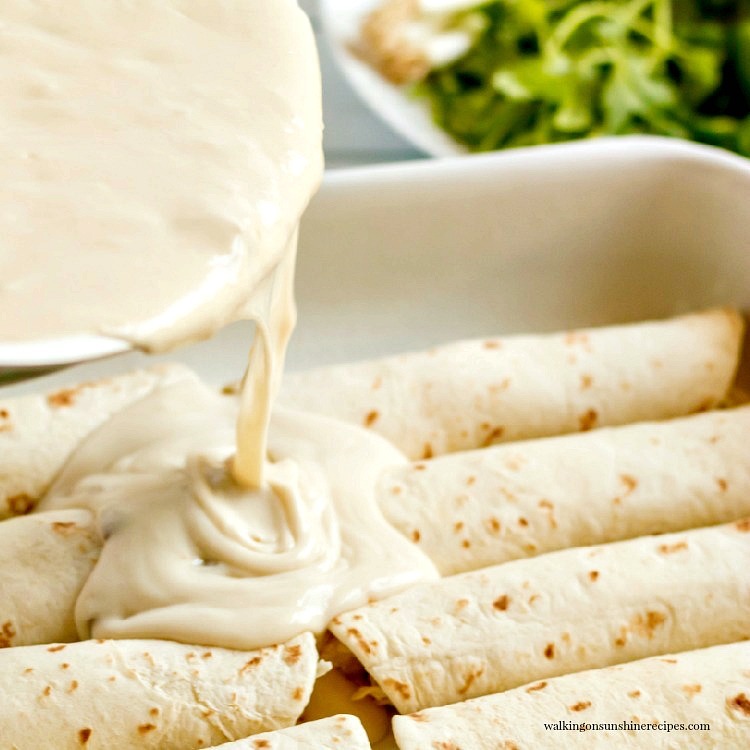 Lay the prepared enchiladas without the sauce on a baking tray that’s been lined with foil and flash freeze them in the freezer for about 30 minutes. Then wrap the frozen enchiladas in aluminum foil and store in a freezer safe plastic bag or container. When you need to make a quick dinner, remove the enchiladas from the freezer and allow to defrost and then prepare the sauce. 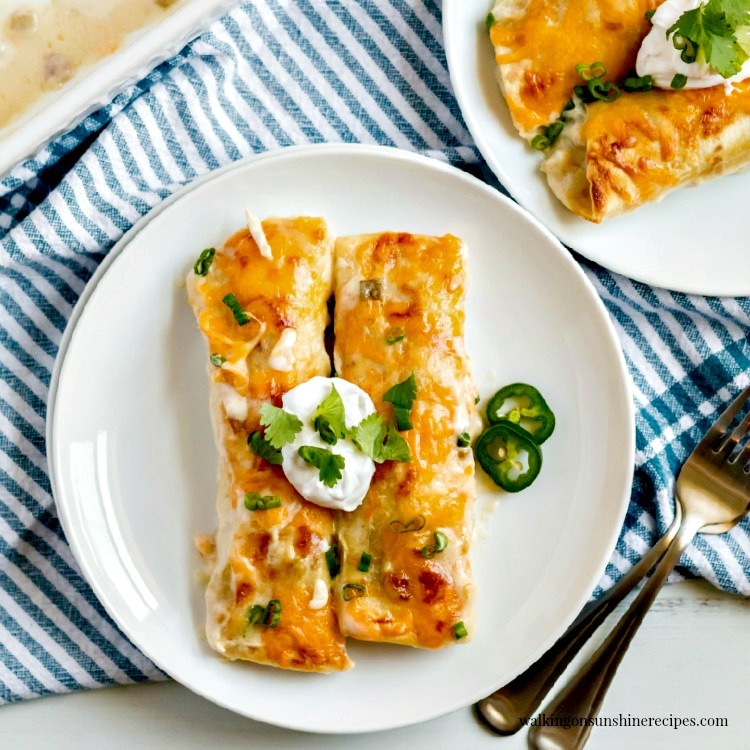 Creamy Chicken Enchiladas is a recipe every home cook needs in her, or his, recipe box. These are delicious and so easy to make with freezing tips to help on busy nights. Stir in the flour and cook for about one minute until the flour and butter are combined. Sprinkle with chopped green onions if desired for garnish. 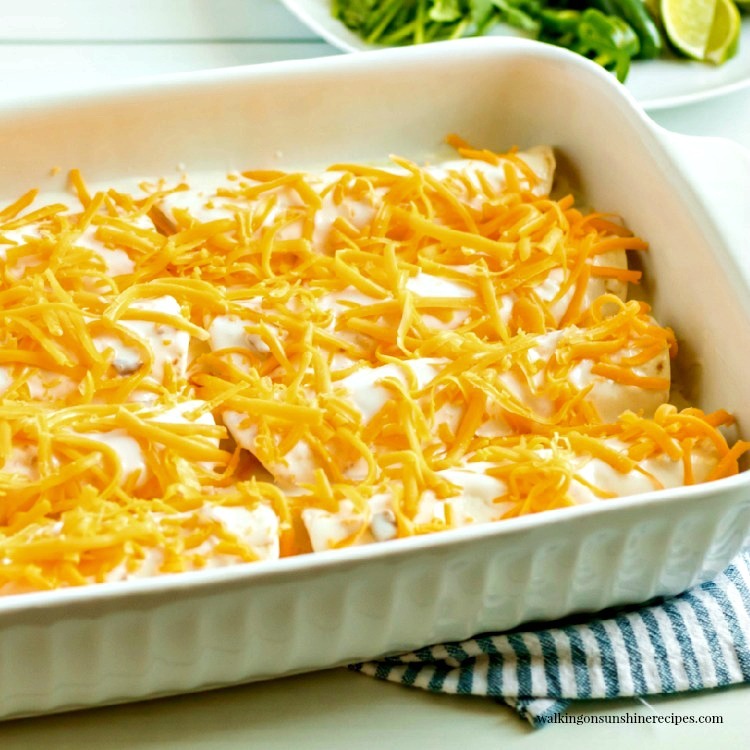 Lay the prepared enchiladas without the sauce on a baking tray that's been lined with foil and flash freeze them in the freezer for about 30 minutes. Oh my…I'm going to get fat! (even more fat)…but this looks delicious! It looks so yummy, thank you for posting each step. i know my husband of 23 years is going to LOVE this recipe. Oh I agree these look so yummy. I really like easy recipes also and this one not only sounds delicious but looks so easy to make. Thanks! 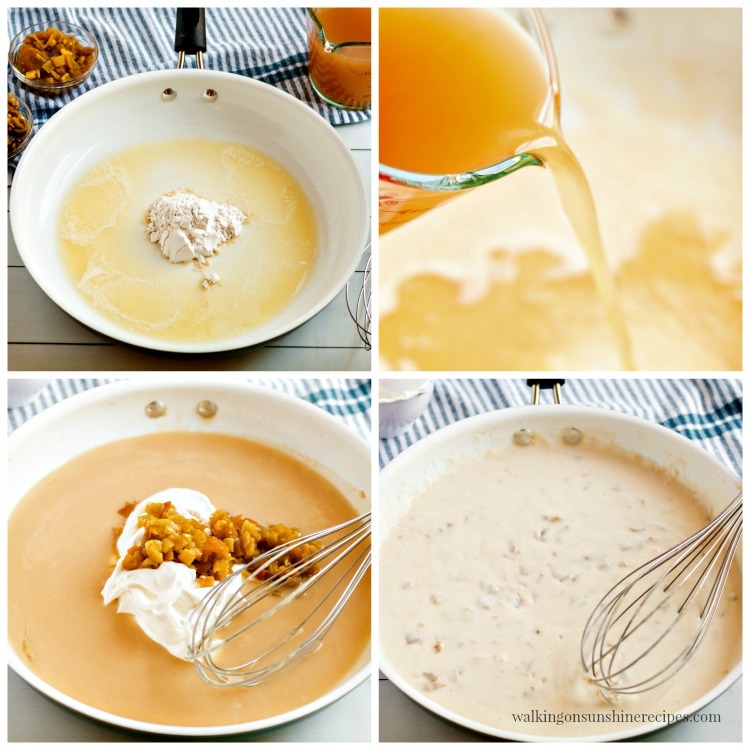 I always wondered how to make the cream sauce for the top… thanks so much for the recipe. 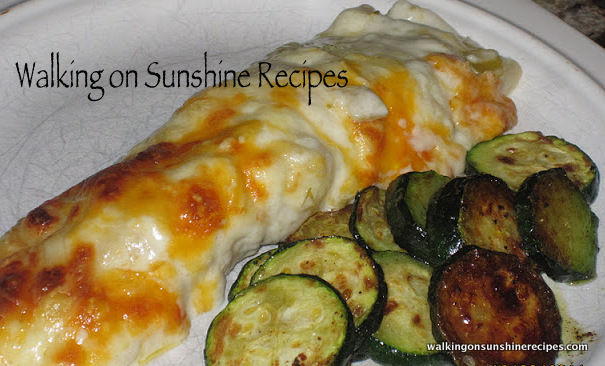 I do already have several enchilada recipes, but always nice to try something new. My hubby is off today too, first time every he has gotten this holiday, so that is quite nice! This is going to be on my menu this week! I'll most likely make it gluten free by using Food For Life brown rice tortillas. Looks delicious!! They look amazing! I love enchiladas. I need to put this on my menu. We would love this and I have some leftover chicken now! Have a great Monday. These look very good! I usually have left over chicken, too, and will remember this recipe next time. Thanks for sharing! Love enchiladas! The Colonel is lucky you are such a clever and classy cook!! 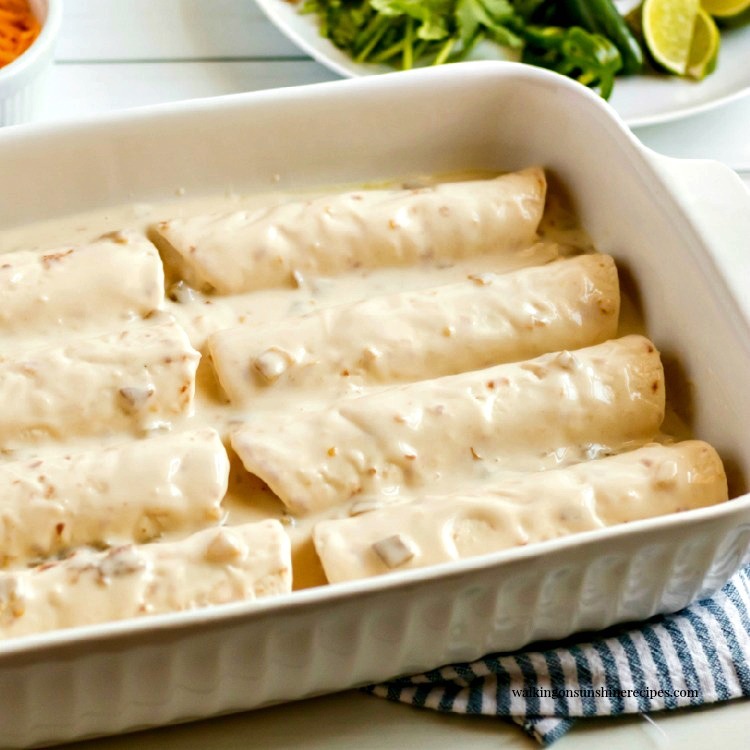 Seems like everyone has a different way to make creamy chicken enchiladas. I've got 2 recipes plus 1 I made up from those! Hummm…Mine have the cream sauce INSIDE…with the chicken. I think I will try it both in and out 🙂 with the cheese of course. You are right, these CAN look bland. After I get done baking mine (never THOUGHT of broiling…does it get nice & hot inside?) I garnish the dish with chopped lettuce, chopped tomato, chopped onion, and chopped black olive. Is that zucchini you have on the side? All looks fabulous! Wow these look absolutely delicious. We always add jalapenos to ours.